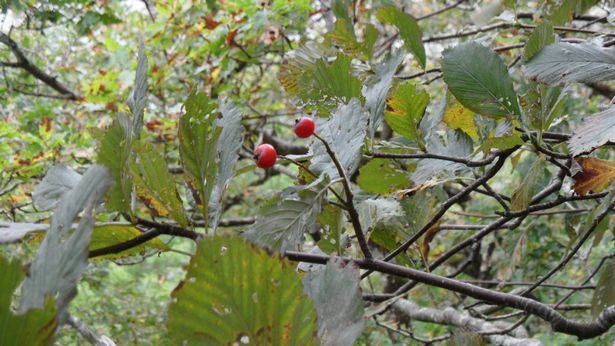 In total there are six rare species of whitebeam that can't be found anywhere else in the world and they are in the high cliffs around the Wye Valley which divides the Forest of Dean from Wales. Whitebeam is a native, broadleaf, deciduous tree which is widely planted in gardens and parks across the country, but rarely seen in the wild. During National Tree Week volunteers and professionals banded together to try give more light to the wild whitebeams of the Wye. In total there are only around 300 of the rare trees in the Wye Valley which is a centre of diversity for whitebeam evolution and has internationally important populations in the wild. 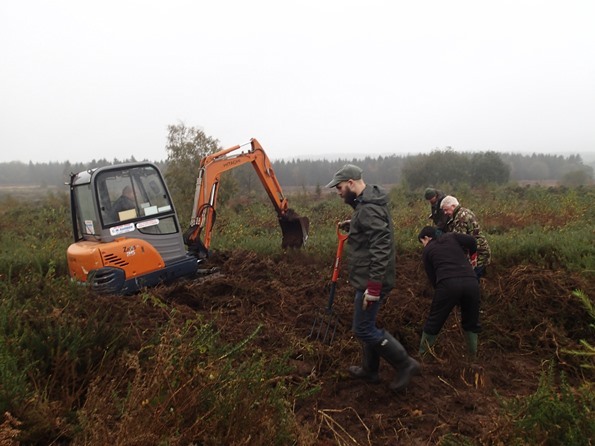 The project to survey and help the whitebeams was carried out by the Forestry Commission, The Tree Council and the Dean Green Team volunteer group. The Wye Valley is home to 20 species of whitebeam, and is one of the richest sites in the world where new species have evolved from other species. 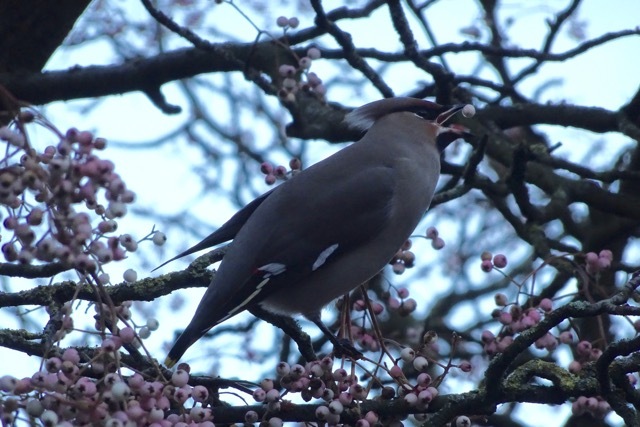 Six species occur in the Wye Valley and nowhere else in the world. Doward whitebeam (Sorbus eminentiformis) is a rare tree in open woodlands on the Doward and Symonds Yat area; the total population is thought to be less than 54 mature individuals in four subpopulations. It is IUCN threat status 'Endangered'. Green's Whitebeam (Sorbus greenii) has probably only evolved recently. It is named after Dave Green who first recognised it as distinct. 59 trees are known on the Doward, of which c.30 are mature and it is thus IUCN threat status 'Critically Endangered'. The known locality is actively managed for this and other species by the Forestry Commission and the County Wildlife Trust. Herefordshire Whitebeam (Sorbus herefordensis ) is an unusual woodland tree on the Doward, with over 100 trees on a nature reserve. It is IUCN threat status 'Endangered'. Ship Rock Whitebeam (Sorbus parviloba) is a small tree, currently only known as a single individual near Symonds Yat. It is IUCN threat status 'Critically Endangered'. Further research is required to confirm the distribution and population size of this species. Symonds Yat Whitebeam (Sorbus saxicola) is restricted to Symonds Yat and the Great Doward in the Wye Valley, where about 40 individuals are known in six locations. It is IUCN threat status 'Critically Endangered'. All sites are within Sites of Special Scientific Interest. There is on-going conservation management at one woodland site. 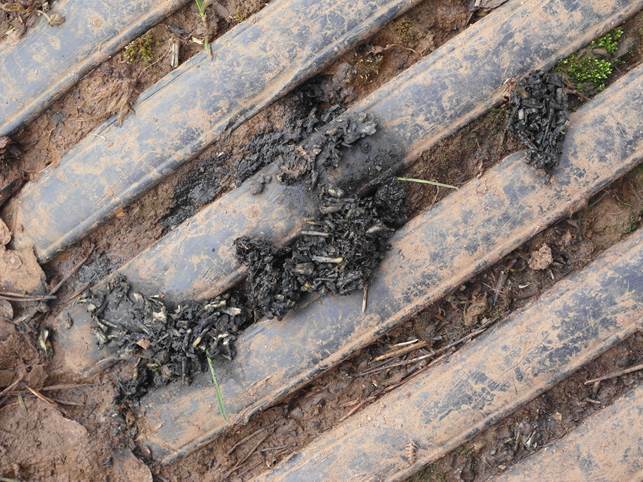 We had worked at Pan Tod on the 17 October and the very next day the boar had moved in to desecrate the area! Below is a link to the response from the Friends of Pan Tod. There is now a work party working on Crabtree Hill near to Woorgreen Lake every Wednesday and alternate Saturdays. The aim is to clear the gorse out in areas where ground nesting birds would, hopefully, use. Today, we had the use of this machine to scrape the roots out and level the ground. We found a couple of these Common Stinkhorn (Phallus impudicus) near to the site. 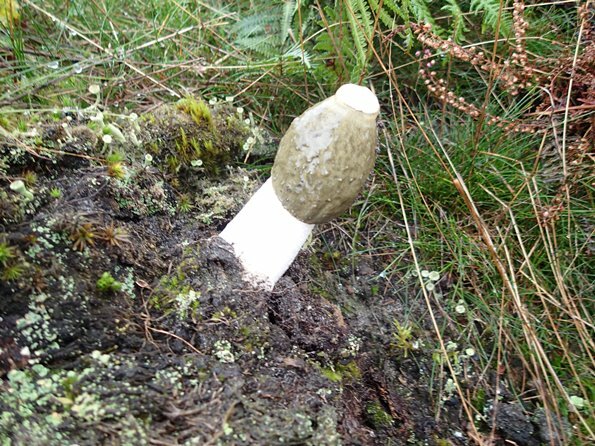 Phallus impudicus, the Stinkhorn, emerges from an underground 'egg'. The cap is initially covered with a smelly olive-green 'gleba' that attracts insects; they then distribute spores via their feet. Very common throughout Britain and is found in all kinds of woodland, but particularly common in coniferous forests. This saprobic fungus invariably appears near to dead tree stumps or other sources of rotting timber. 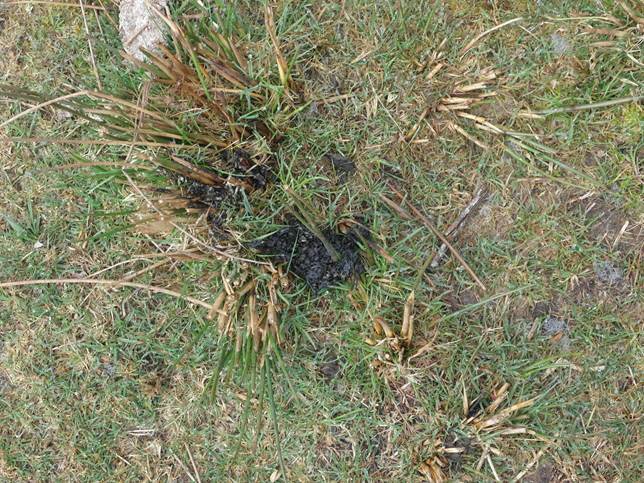 Otter Spraint has been found at Wigpool GWT Reserve where there is a large lake. This is good news as very few other heathland reserves can boast diversity that includes otters! Beavers could make a return to the wilds of Gloucestershire for the first time in hundreds of years to help environmentalists stop a village flooding. The Forestry Commission are considering releasing the large toothed animals into a brook above Lydbrook in the Forest of Dean as part of efforts to protect the village which was badly flooded in 2012. Trials have shown that beavers can create dams capable of retaining about 1,000 tonnes of water which would otherwise cascade down to villages like Lydbrook which runs along a natural valley leading down from the Forest of Dean to the River Wye. As well as holding back water, the beavers are also said to increase biodiversity in woodland areas with some claiming their activities can help many rare species thrive. 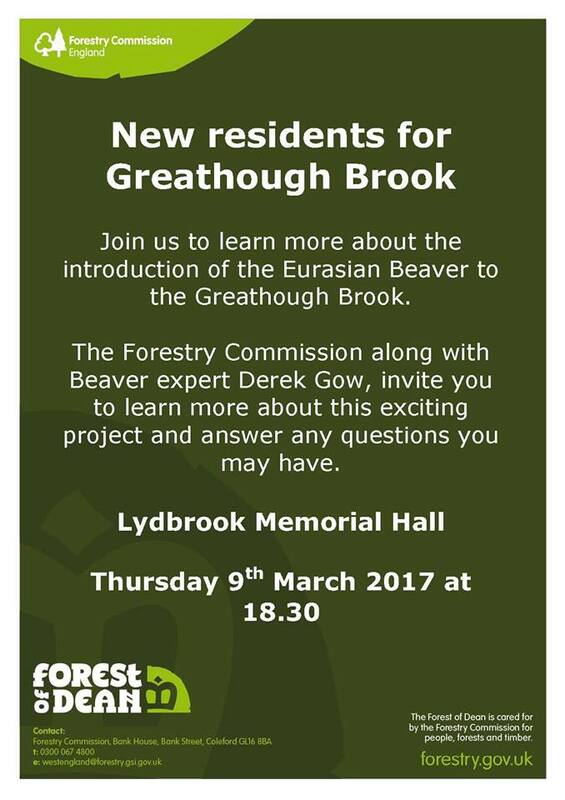 Forestry Commission chiefs have invited expert Derek Gow to tell residents in Upper Lydbrook and Lydbrook how experts believe putting beavers into Greathough Brook in the Forest could help halt water gushing down the hillsides. Although some engineering work has been carried out to stop the floods of 2012 which wrecked homes and businesses, many believe it also needs natural solutions to slow the flow of the water. Like the wild boar, which has created bitter divides in the Forest, the beaver has critics as well as supporters and until now they have only been released in captive colonies or as part of very carefully controlled trials. Some farmers and anglers claim that contrary to their reputation for restoring natural woodland habitats, the beavers can damage the landscape, affect fish migration and carry disease. However supporters such as Mr Gow dismiss such arguments and insist the benefits have been widely demonstrated in Europe and America and they are backing the reintroduction of the species into the wild for environmental reasons. Mr Gow told the Financial Times: "For years, the whole idea of reintroducing beavers has been bogged down by myth and nonsense. It's not as though we are looking at reintroducing a Tyrannosaurus rex that eats children. People have the idea that because beavers have huge teeth they chop their way through forests like furry chainsaws, but they're a creative, not a destructive, force. They open up the river banks to many other species: plants, butterflies, beetles, amphibians and fish. These are the building blocks of life, the species that support others." And the animal lover who imported his own beavers from Bavaria, said there is no doubt that they purify fresh water and reduce floods by trapping and slowing extreme flows. "Beavers have been managing water for millions of years; they're adapted to do a far better job than us," he said. "We can no longer pay to maintain flood walls and flood defences so beavers are a rational option when it comes to water management and flood control." But he concedes that despite his impatience during years of carefully managed trials, any official reintroduction into the wild would be slow and cautious and require a thorough scientific monitoring of impact and public opinion. Vegetarian Beavers were hunted to extinction in Britain in the 16th century but over the last ten years have been slowly reintroduced into managed areas in Scotland, Devon the Cotswolds and Wales. Animals lovers say in areas where they have been brought back, there has been a proliferation of plants, butterflies, dragonflies, frogs birds and Devon Wildlife Trust say the only wild colony allowed in England has encouraged tourists to flock to the area to see them. 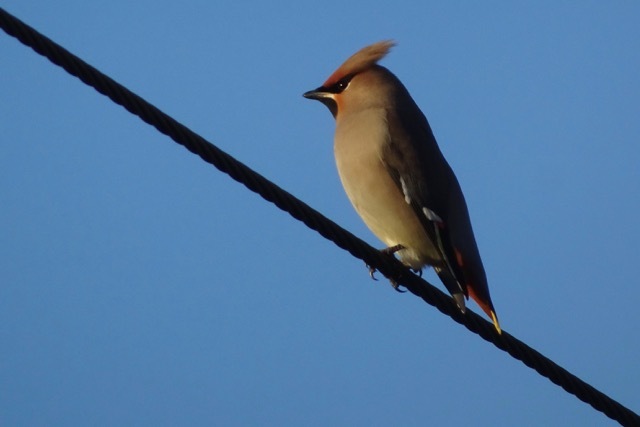 There was a nice surprise for the people of Cinderford as the photos below taken by one of our team members show the Waxwings behind the Lidl car park on Wednesday, 4th January 2017. 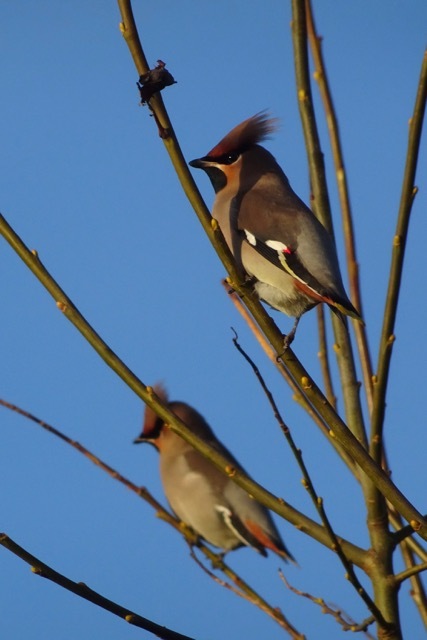 There were about 9 on the Wednesday and about 24 on the Thursday and they were feeding from the berries on a Rowan tree.